Penguin Place in Dunedin New Zealand is a conservation reserve dedicated to helping the endangered yellow eyed penguins. 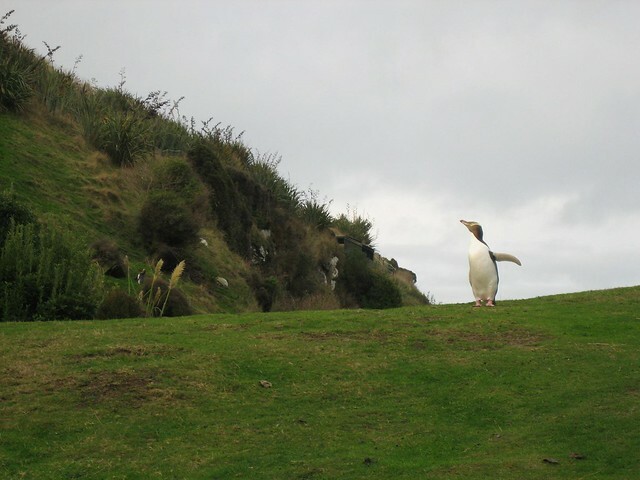 Located a short drive from Dunedin on the South Island of New Zealand, Penguin Place offers hour long tours where you can learn about the Penguins, the conservation and walk amongst them through hidden trenches and watch them from hidden hides. If you want to get up close and personal with some yellow eyed Penguins and help keep the species alive this is well worth a trip.